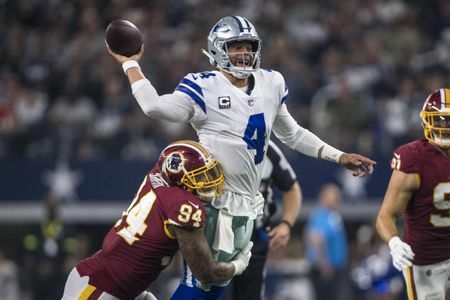 The Washington Redskins went to Dallas on a short week and a backup quarterback at the helm and lost to the Dallas Cowboys 31-23. There were times in the game when the Redskins played well in all three phases of the ball, conversely all three phases played bad at times. The Redskins worst enemy continues to be themselves with self-inflicted wounds at the worst times. Once again on the big national stage the team faltered and are now tied with the Cowboys at the top of the NFC East. Quarterback Colt McCoy finished the game completing 24 for 38 for 268 yards, two touchdowns and three interceptions. McCoy also added five carries for 35 yards on the ground with a fumble that was recovered by the Redskins. McCoy mirrored the play of the team, sometimes he was great and moving in the pocket extending plays and others he made bad choices and put the ball in harm’s way. His three interceptions were all McCoy trying to make plays that weren’t there, but to be fair the second one was a missed block by Morgan Moses and the last one was defensive holding. Coach Jay Gruden did not help McCoy with his play selection in particular running the football. Adrian Peterson only had 12 carries for 35 yards while he missed only a couple of plays tweaking his shoulder. The formula for success for the Redskins has to be 20 or more carries for Adrian Peterson. The score dictated more passing, however the Redskins never really ran downhill on the Cowboys. The receiving corps played well in yesterday’s game when given opportunities. Jordan Reed and Vernon Davis were matchup nightmares and McCoy connected to Vernon Davis on a 53 yard touchdown down the field. 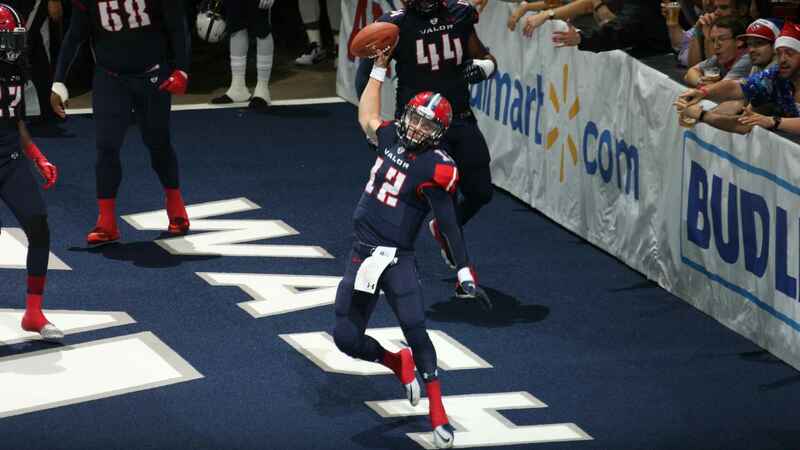 Trey Quinn showed why he was a valuable player for this team on offense and as a punt returner. Quinn’s punt return gave the offense a short field and McCoy connected with him on a ten yard touchdown to finish the drive. Josh Doctson also added six catches for 66 yards on ten targets. The defense for the Redskins has started to show major signs of weakness. In the first meeting the defense held Cowboy running back Ezekiel Elliott to 33 yards rushing. In yesterday’s matchup he had that on the Cowboys first drive en route to 121 yards on 26 carries. The stout run defense finally gave up 100 rushing to a running back this season. The secondary looked abysmal yesterday in coverage and tackling. Josh Norman gave up a few third down conversions early, Quinton Dunbar didn’t look healthy and gave a 40 yard touchdown to Amari Cooper, Fabian Moreau gave up the inside to Cooper on his 90 yard touchdown, and Ha Ha Clinton-Dix missed Cooper on the same play. The defensive line had spurts where they dominated the Cowboys front and other times were washed away. They sacked Dak Prescott four times but other times they couldn’t generate any pressure at all. Safety DJ Swearinger was furious after the game saying,” I see why we don’t get the respect… We don’t win the big games.” Swearinger has a point because this game would have given the Redskins a two game lead and the tiebreaker over the Cowboys. Now they need the Cowboys to slip up along the way. Everything was in front of the Redskins five days ago and they couldn’t defeat a good Houston Texans team. They followed it up with a mediocre showing on Thanksgiving against a surging rival. 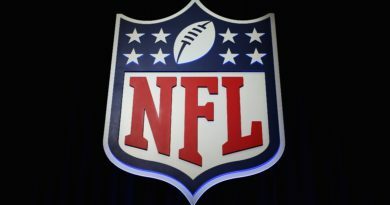 Can the Redskins still win the NFC East, of course they can. To do so the defense must return to their early season form and the offense must get back to running the ball effectively. 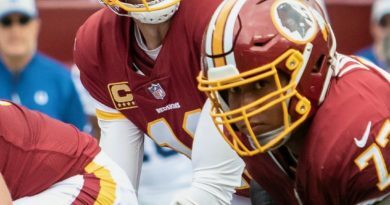 The Redskins get 11 days to reload, heal, and game plan to get though a tough December slate that features two games against the defending Super Bowl Champion Philadelphia Eagles. Now it is time to see if the culture has truly changed with the Washington Redskins.